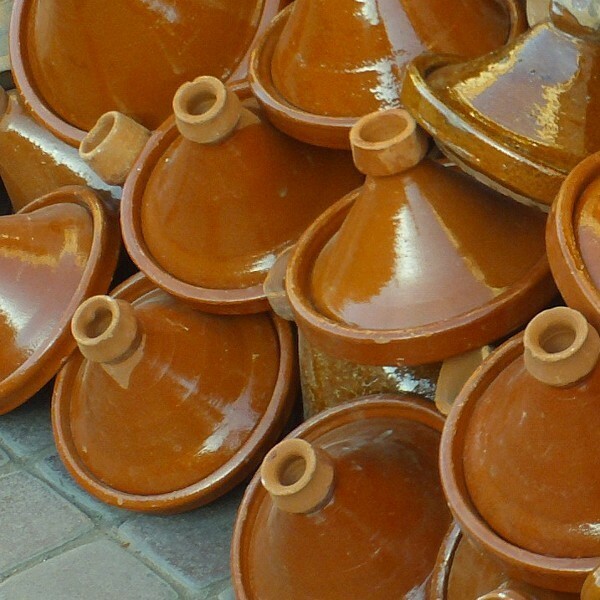 Hand made Moroccan Tagine from Marrakesh in Morocco. Usable for cooking. This traditional Tagine is used to prepare Spicy Chicken Tagine or other Good spicy tajine with a Moroccan Peppermint Tea. In Moroccan families, Tagine is cook on a very common Barbecue Terracotta, called "Kanoun", at home or for a picnic with some friends.